Being found online randomly by couples have been the most rewarding experience for me. Albeit the competition is very stiff, everyone who came by has very unique needs. Happened to know that Charlotte bumped to my site cause someone posted a page about a shoot I did. And then they traveled from Hong Kong for a Love Diary session despite they've already booked a prewedding session elsewhere. Main intention is to have a series of pictures showing colors of Penang. Always wanted to post this series photographed back in 2013. It was a great day that we have very beautiful weather and sunlight. A simple test shot at our first location, Chew Jetty area would look like I can print them out instantly with no editing already. Great weather doesn't come by every time during a couple portrait shoot. Which is why we need constant improvisation based on any given situations. The most memorable thing from this photo session was the stress that we faced almost at the end of the shoot. Charlotte had an inspiration from a Disney cartoon to do a fine dining kind of shot, but with the location being hawker stalls at Gurney Drive - putting up their own 'candle light dinner'. It's not the easiest thing to pull off: the stress of stares among so many people, to take a natural picture despite people walking by looking at the couple, to find a suitable spot for me to stand & direct the couple & suitability for composition, and of course with the available space that is totally dependent on luck. My heart pounded faster recalling the memory. But that was one of my favorite shot of the year, learnt something from the experience too, being even more resilient for a worthy picture and my face's thickness got leveled up! The couple also decided to pick some of the shots, made them into postcards given to every guest in their wedding reception AND put a photo credit on them. I am over the moon for their very kind intention to promote my work out of their own good will. &.b.t.w. 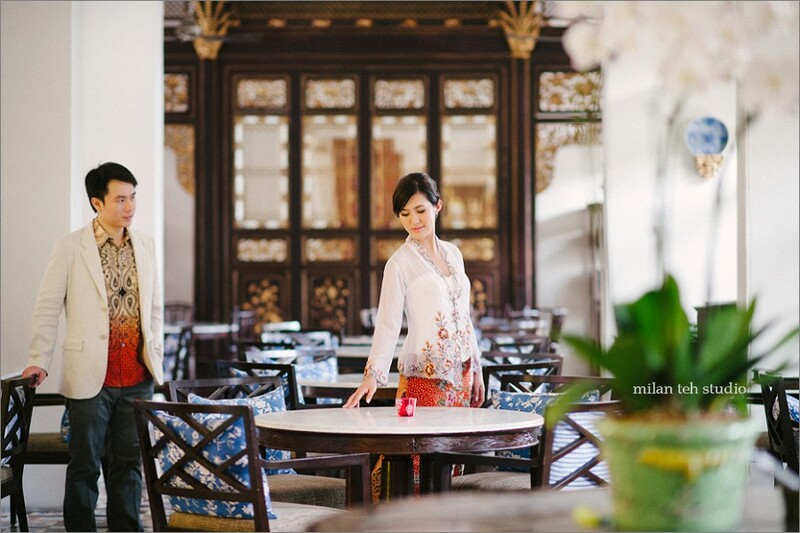 - Anyone keen doing a unique casual prewedding in Penang? I'm in all ears to something really different. &.&.b.t.w. - Just back from a wedding party on a yacht, the experience is just amazing! Not just the couple and guests, I'd believe that it's once in a lifetime kinda experience for me either. Can't wait to share the pictures soon. &.&.&.b.t.w. - If you missed my Boudoir Diary announcement, I am building portfolio throughout 2015. Ladies who wish to preserve their current looks in a sensual tone, talk to me. Especially those who are up for a bridal boudoir session - Malaysia or Singapore. &.&.&.&.b.t.w. - 2015 will be a very interesting year. A lot of new & happy stuff awaits to be planned and execute. Will blog about them when the time comes.